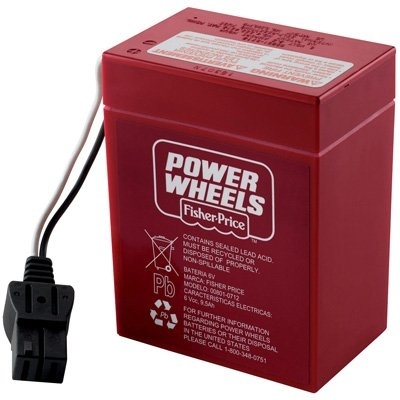 Is your Power Wheels Battery dying too quickly, not charging, cracked or missing? 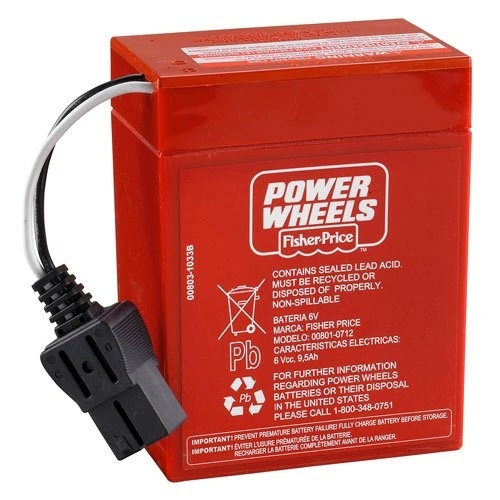 You may need a new Power Wheels 6VDC Red Battery 00801-0712. This battery is original equipment and provides the long-running performance you've come to expect from Power Wheels parts. Use this 6 volt battery to restore top performance and charging reliability to your child's Power Wheels ride-on toy. This battery fits many vehicles and should be stored indoors to ensure optimum performance and lifespan. OEM part numbers: 00801-0712, 0801-0051. This battery is equipped with black style "A" connector. If your battery is equipped with white style "H" connector, your vehicle may be affected by a manufacturer recall issued in 1998. If you think you may have a vehicle affected by this recall, please call Power Wheels customer service at 1-800-348-0751.